Dorchester, United Kingdom, April 08, 2019 --(PR.com)-- Squire Technologies Limited are a UK based signaling specialist to the telecoms industry. They provide carrier grade core network signaling products and solutions such as Gateway MSC (GMSC), Signalling Transfer Point (STP), Diameter Suite (DRA, DEA, IWF) & SMSC to Tier 1 and Tier 2 providers and MVNOs (Mobile Virtual Network Operators) and MVNEs (Mobile Virtual Network Enablers). They are expanding their offering to their customers by including Summa Networks’ NextGen HSS (Home Subscriber Server) and HLR (Home Location Register) in their product portfolio. “Squire Technologies help carriers overcome signaling interworking challenges across all generations of networks, allowing them to future proof their core network while maintaining backward compatibility. Our biggest strength is sharing what we have learnt working for 400+ operators in 150+ countries in the last 20 years. 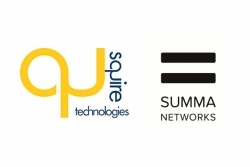 We choose partners who have similar ability and experience to adapt to the interworking challenges, and we have pleased to have chosen Summa Networks,” says Mike Peck, General Manager - Sales, at Squire Technologies.